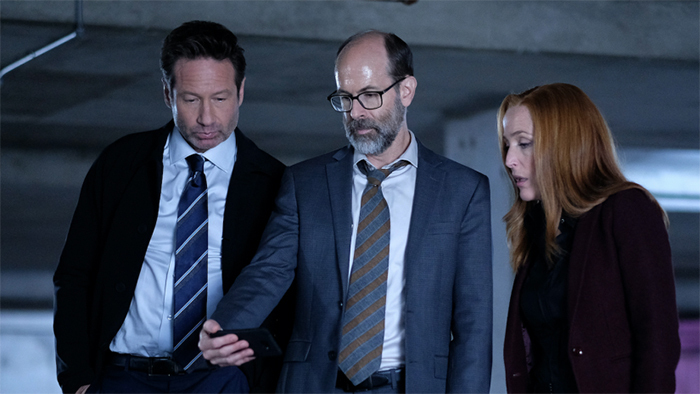 The X-Files aired an episode about the The Mandela Effect which Mulder described as having one or more memories that don't coincide with everybody else's nor the facts. Of course it goes to conspiracies and truth. I explain the Mandela Effect as intersecting parallel grid realities or glitches in the hologram. Reality is a consciousness simulation in which anything can happen whether logic dictates it or not. Lots of humor and food for thought along with Mulder's take on life that everyone is going crazy - he has mentioned that in every episode so far. This episode is totally worth watching with a humorous scene near the end as a UFO lands, an alien descends the stairs, and seas to the other characters in the scene used Donald Trump's famous expressions ... "We built a wall to keep humans out ... etc. etc. etc." The Mandela Effect refers to similar false memories shared by multiple people. For example, a somewhat commonly reported false memory is that the name of the Berenstain Bears was once spelled Berenstein. Another reported example is the widespread occurrence of false memories of a 1990s movie titled Shazaam starring the comedian Sinbad as a genie; such false memories may be the product of a confluence of factors, such as the performer's wearing a genie costume during a TV presentation of Sinbad the Sailor movies in 1994, and a similarly named 1996 film Kazaam featuring a genie played by Shaquille O'Neal. A 2010 study examined people who were familiar with the clock at Bologna Central railway station, which had been damaged in the Bologna massacre of 1980. In the study, 92% falsely remembered that the clock had remained stopped since the bombing; in fact, the clock was repaired shortly after the attack but was again stopped 16 years later as a symbolic commemoration. In 2010 this phenomenon of collective false memory was dubbed the "Mandela Effect" by self-described "paranormal consultant" Fiona Broome, in reference to a false memory she reports, of the death of South African leader Nelson Mandela in the 1980s (when in fact Mandela died in 2013), which she claims is shared by "perhaps thousands" of other people. Broome has speculated about alternate realities as an explanation, but most commentators suggest that these are instead examples of false memories shaped by similar factors affecting multiple people, such as social reinforcement of incorrect memories, or false news reports and misleading photographs influencing the formation of memories based on them.